You can always count on White Mountaineering to keep things fresh and exciting with their goods. 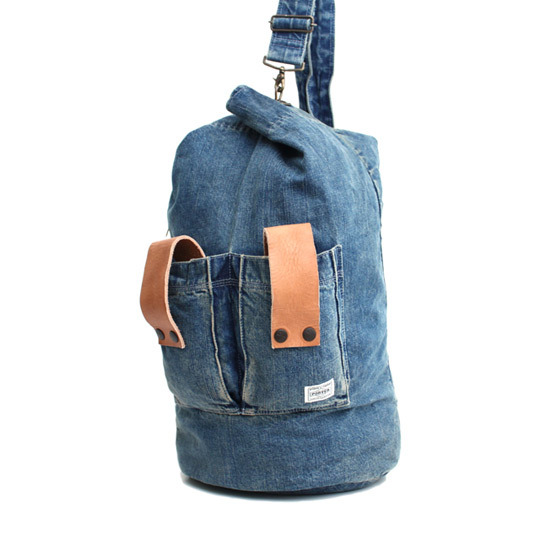 Their collab with Porter for Spring/Summer 2011 is being dubbed as the “Used Denim Collection,” and certainly presents some unexpected twists on some familiar bag designs. There are three pieces available in total, which include two backpacks and an army bag. Made of used denim. Leather detailing.